We spent one family vacation on the Delaware beach. It was restful to walk the beach listening to the rhythmic sound of the waves crashing on the beach. The ocean is God’s grand creation. More often we spend time near the Great Lakes of Michigan. Lake Superior in Upper Michigan has a rugged beauty. 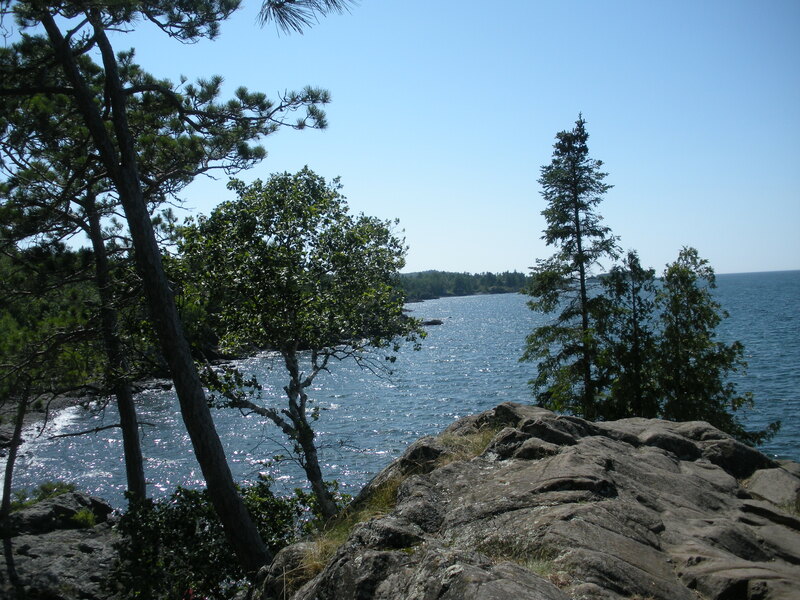 We have some favorite family parks along the coast of this glorious Great Lake. 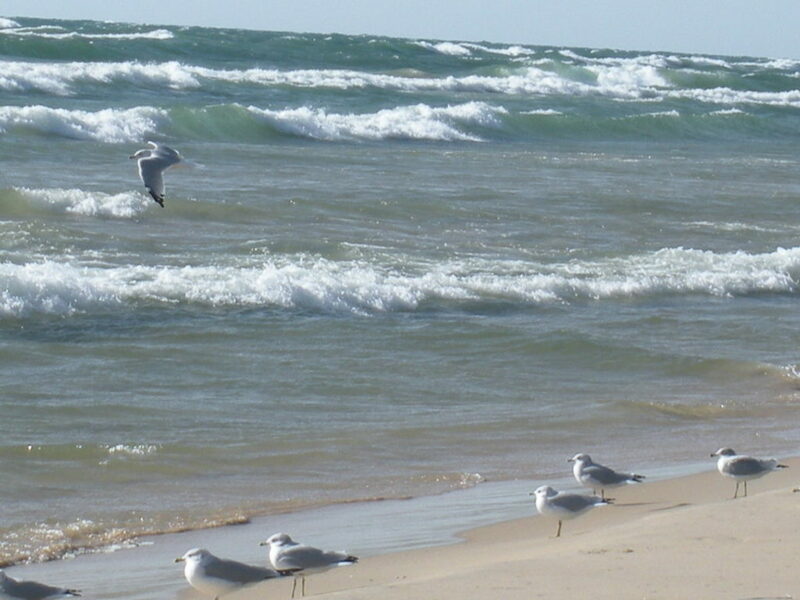 Lake Michigan has lovely beaches. A few years ago I wrote about a writing conference that I attended. The conference center was within walking distance of Lake Michigan. September 2012. My day started early. I left my house at 6:00 am and pointed the car towards Michigan. I was on my way to the Maranatha Christian Writer’s Conference. The sun was shining when Tim Burns, conference director gave opening remarks. He pointed us to Habakkuk 2:2 Then the Lord replied: Write down the revelation and make it plain on tablets so that a herald may run with it.In other words, write with purpose and clarity. The conference began with messages that encouraged us to examine our motives for writing. Or to use Cecil Murphy’s term, are we paying attention to the palace guards? Are we listening to guidance from the Holy Spirit? As the conference moved into the second day we heard from authors and editors about the changing publishing industry. The fiction writers’ panel was insightful. Each afternoon provided an hour of free time.On the first day I chose to walk to the beach of Lake Michigan– just a couple blocks away. I have a deep appreciation for the Great Lakes. As I walked the wind was whipping my hair across my face. I could hear the roar of the waves from a distance. On the beach, the waves were crashing and washed over any other sound. The seagulls were gathered in groups. As a line of gulls tip-toed into the water and then scurried back from a wave, laughter bubbled in my throat. I was amazed as the gulls soared and then flew sideways as the air currents carried them. Standing on the beach I was in tune with the words of the Psalmist. It is good to take time to pause. Is there some facet of God’s creation that can give you joy today? Linking this post with Sue’s image-in-ing. Please visit my facebook page (I’d be delighted if you clicked like).